With this DIY recipe and smart feeding tips, you can give your plants the nutrition they need without eating a hole in your wallet. If you want lush healthy houseplants and garden growth but aren’t thrilled about paying for costly commercial foods with ingredients you can’t pronounce, you’re in luck! 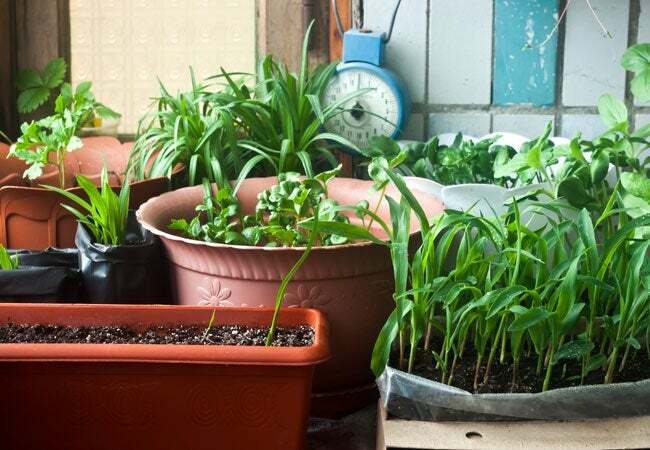 You can easily make your own plant food at home for a fraction of the price and—as a bonus—know exactly what goes into it. All it takes to keep your favorite plant species robust and beautiful are three common ingredients that you’ll find at any supermarket for around $5 total (if you don’t already have them on hand). Because this recipe requires such small amounts and the ingredients last for months, your cost will literally be pennies per batch! • Epsom salt contains magnesium and sulfur, both of which are beneficial for plant growth. Sulfur helps plants absorb nutrients from the soil while magnesium increases the plant’s ability to produce chlorophyll, which is responsible for maintaining healthy green foliage. • Baking soda stimulates blooms in flowering plants and also reduces the risk of fungal disease. This is especially beneficial for potted houseplants, which are prone to mildew as a result of overwatering and limited air circulation. • Household ammonia contains nitrogen, a component that promotes healthy root growth. For plant food, be sure to use plain ammonia, free of other ingredients such as scent or cleaning additives. And remember, ammonia is toxic to people and pets, so be sure to label and store your homemade plant food accordingly. Measure 1 ½ tablespoons of Epsom salt into a clean gallon jug. A rinsed-out plastic milk jug with its lid makes a great container for this homemade plant food. Add 1 ½ teaspoons of baking soda to the jug. Measure a scant ½ teaspoon of household ammonia into the jug. Scant means slightly less than the full ½ teaspoon. Don’t overdo it with the ammonia; a little goes a long way! Fill the rest of the jug with plain tap water, screw the lid on tightly, and swish well to combine. Let sit for at least 30 minutes to allow the Epsom salt to completely dissolve. Label the container and store it in a cool dry spot where kids and pets can’t get into it. • No need to dilute your homemade plant food. It’s ready to go! 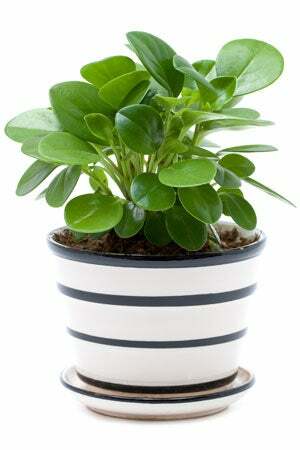 • Feed potted houseplants once every three to five weeks. During winter, when plants grow more slowly, once every five weeks is sufficient. When plants show renewed growth in spring, increase feedings to once every three weeks. • Use the same amount of homemade liquid plant food as you would normally water indoor plants. For example, if you typically give your potted fern one cup of water, substitute one cup of homemade plant food, which will provide sufficient water and nutrients. • Pour homemade plant food around the base of the plant, rather than on its foliage. This is the best way for the roots to absorb all the nutrients. • You can use this homemade plant food as an all-purpose fertilizer in an outdoor flowerbed or garden. After regular watering, while the ground is still damp, pour two to three cups around the base of each plant once every three weeks during the growing season. Stop feeding outdoor plants in late fall, before they go dormant.